If you think the only things you can recycle are plastic containers, aluminum cans, glass bottles, and paper products, you might be surprised. Countless other products can be reused or recycled, limiting the harmful impact that landfills and mining for new materials can have on the environment. Perhaps most surprising to some people, you can improve your ecological footprint by recycling batteries in Montreal. Whether you use lithium-ion batteries or AAs, battery recycling should be a priority. Here’s why. Though batteries are relatively small, they can actually have a very big impact on the surrounding environment. The biggest problems stem from the heavy metals used in battery production. Batteries contain heavy metals such as lead, nickel, and mercury. 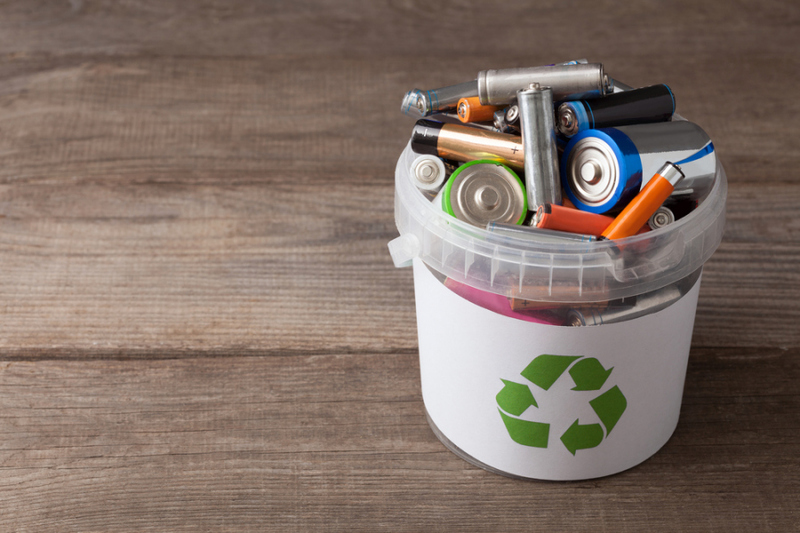 While these materials do not cause any harm when contained within a standard battery, problems can arise rather quickly once they reach a landfill. When batteries are exposed to rain water, their heavy metal content will actually react with the water, causing the batteries to corrode and leaking these toxic materials into the ground. These chemicals create a toxic soup that can seep into the soil, contaminating local groundwater. When these chemicals infect the groundwater, significant harm can result to the local wildlife. If the chemicals enter the drinking water supply, consequences can be equally severe for humans. The decomposition of batteries also releases toxic chemicals into the air. In fact, a British study found that recycling 45 percent of the country’s batteries would eliminate 12,000 tons of C02 emissions. Protecting the environment isn’t the only reason to send batteries to a recycling plant instead of a landfill. While many of the materials contained within a battery are harmful to human health, they can also be reused for the production of new products. The cadmium and sulfuric acid found in many batteries can actually be sent back to battery manufacturers to create new batteries. Other components, such as lithium and nickel, are melted down so they can be reshaped into other products. In addition to keeping waste from piling up in landfills, this process reduces manufacturing costs and helps conserve our planet’s finite resources. It may take some practice to adjust to the idea of recycling batteries. But every contribution makes a difference — especially if you work in an office area that goes through a lot of batteries. By making recycling a greater priority, you will be able to do more to protect the environment for future generations.